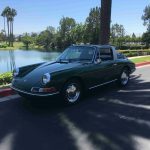 Die Produktion des 912 Targa wurde 1967 als SoftWindow aufgenommen. Das Modell mit der Glasscheibe wurde erst spaeter eingefuehrt. Targa’s wurden mit einer Plastik-Heckscheibe und Reissverschluss ausgeruestet. Bis zum Modelljahr 1983 mit der Vorstellung des 911 SC als Cabrio war das SoftWindow Modell auf Jahre hinaus das letzte “fast”Vollcabrio von Porsche. Der Softwindow wurde spaeter auch Version I benannt. Heute sind die SoftWindow Fahrzeuge sehr, sehr selten. Es wurden ueberhaupt nur 200 Fahrzeuge produziert und im Jahr 1968 gerade mal 66 Stueck. In der September 1968 Ausgabe von Christophorus, dem Porsche Magazin wurde auf die Vorzuege des SoftWindows hingewiesen. Man kann aus 4 verschiedene Moeglichkeiten waehlen. Man entfernt das Targadach und hat ein riesiges Schiebedach. Man oeffnet den Reissverschluss zusaetzlich und hat ein Cabrio mit Ueberollbuegel. Oder man oeffnet nur den Reissverschluss und belaesst das Targadach geschlossen. Zu guter Letzt im geschlossenen Zustand als Coupe. Auf Grund der wachsenden Sicherheitsbestimmungen vornehmlich wie immer in der USA wurden ab Januar 1968 die Ruecksitze durch 2 Staufaecher ersetzt. Wir haben diese entfernt und wieder Ruecksitze installiert. Wie es sich gehoert. The production of the Porsche 912 Soft Window Targa commencing for the 1967 model year, Targas came equipped with transparent plastic rear windows to open with a zipper. Later designated as Version I by the factory, these “SoftWindow” Targa’s are now extremely rare. 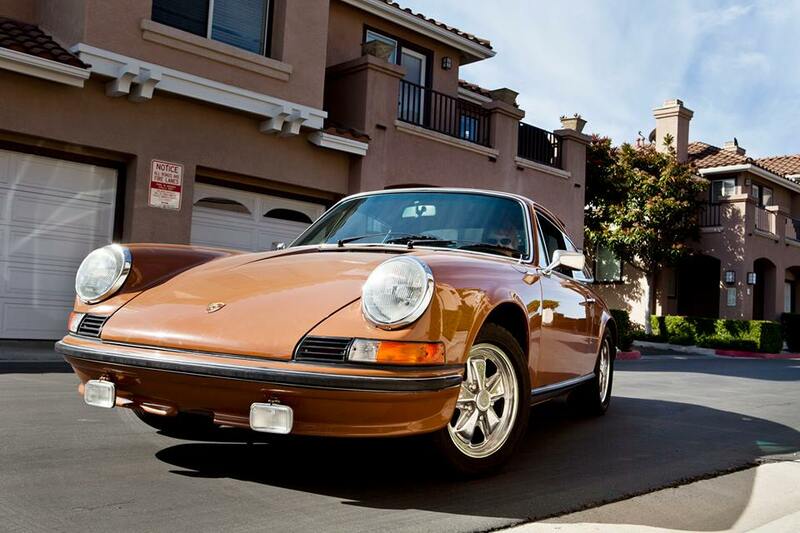 Only 200 Porsche 912 SoftWindow were ever made and only 66 produced in 1968. In September 1968, Christophorus magazine noted that with the soft-window; the Targa bar is permanent but you can achieve four variations around it. Depending on whether roof and rear window are used or removed. Take off the Targa top (fitting unfolded in the trunk) for a huge sunroof. 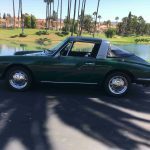 This was originally called the: Targa Voyage Unzip the plastic rear window and you have a cabriolet with rollbar Originally called: Targa Spyder. You can also leave the roof on and the back window down on blistering hot days, cold winter days, or even in a light rain. Button it up for complete enclosure in any weather. In consideration of increasing safety regulations, as of January 1968 Porsche constructed Version I, Targa’s with a package shelf containing two small lockable compartments in place of the rear seats, which we have removed to install 2 rear seats, as originally planed and executed by Porsche. 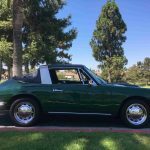 This is a very rare Porsche 912 “Soft Window” Targa, blue plate Southern California car. It never left California.